Note to readers: In the UK, this book is published under the title Hothouse Flower. 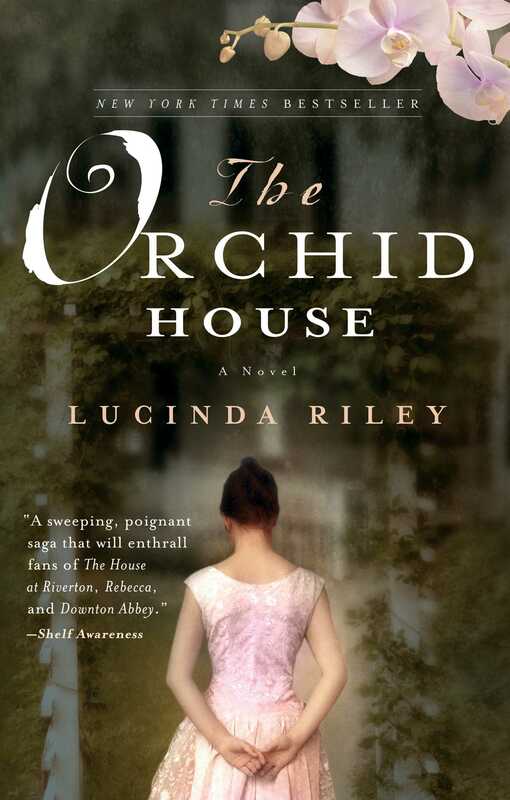 From beloved New York Times bestselling author Lucinda Riley, a “sweeping, poignant saga that will enthrall fans of The House at Riverton, Rebecca, and Downton Abbey” (Shelf Awareness). As Olivia entered the drawing room, she had the new and not unpleasant feeling of her arrival being noted approvingly. Lord Crawford was the first over to her. “Thanks awfully,” she replied as she took a gin from the tray proffered by the hovering butler. “Rather glad you’re my neighbor at table tonight, my dear,” Lord Crawford commented, throwing a discreet nod in the butler’s direction. He answered with an equally discreet nod back. Even if Olivia hadn’t been beside him for dinner, she was now. “So, how are you finding Blighty?” he asked. “It’s thrilling to see the country I’ve heard so much about,” Olivia lied smoothly. Adrienne, Lady Crawford, turned toward Olivia and extended her delicate white hand, and in a parody of the male handshake, their fingers touched. “It’s awfully kind of you to say so, Lady Crawford.” Olivia was beginning to feel like a prize heifer being paraded around a showground, waiting to be judged. She hoped this wasn’t a precursor of the Season to come. Lord Crawford looked down fondly at his wife. “Good show, good show. I’ll leave Olivia in your capable hands, my dear. Perhaps you can give her a few tips.” He strode off to welcome two new arrivals. Olivia took the moment to enjoy Adrienne’s own beauty. Although mature, in her early forties at least, Adrienne had the body of a slim young girl. And a beautifully sculpted face, with high, chiseled cheekbones underneath a flawless, ivory skin. Her quintessential femininity reminded Olivia more of a delicate Indian maharani, rather than the usual female English aristocrat, built as they were to withstand the harshness of the British weather, with wide hips to engender the brood of children they needed to continue the family line. Adrienne was so elegant, so fragile, Olivia felt she would be more suited to a salon in Paris than a drafty English country house. Indeed, Olivia’s mother had told her that Adrienne was French. Judging by the way she wore what was a simple black cocktail dress, adorned only with a string of creamy pearls, she had the effortless chic of her native land. Adrienne stated this as a matter of fact and Olivia was taken aback by her bluntness. “I am certainly finding the change is taking rather a lot of getting used to,” she answered as diplomatically as she could. As she watched her hostess glide across the room, Olivia felt disarmed by Adrienne’s empathetic assessment. She was, on such occasions, used to only making small talk, never delving below the surface to discover more. Any form of inner thoughts—or worse, emotions—was frowned upon by British society. That much she had learned from the club in Poona. Her conversation with Adrienne, albeit short, had comforted her. She allowed herself a secret smile. Harry had been ordered by his mother to go and keep the young “Indian” girl company. Dutifully, he made his way toward her across the room. A few paces away from her, he saw her lips open wide as she smiled. Her cool, blonde beauty was suddenly animated, filled with a radiance beneath her creamy skin. Harry, not usually particularly aware of the physical charms of women, realized she was what most of his fellow officers would term a stunner. He approached her. She saw him and said, “You must be Harry, sent to make polite conversation with me by your mother.” Her turquoise eyes were filled with amusement as she spoke. Olivia was surprised at her boldness and blamed the particularly potent gin. She looked at Harry, “handsome” Harry, as Elsie had described him, and decided that Elsie was right. Harry had garnered the best physical qualities of both his parents; he had the height of his father and the fine bone structure and luminous brown eyes of his mother. “Without a doubt.” Harry nodded. “I’m sure that after a day’s shooting with my father, he may well have begun to.” Harry raised his eyebrows. “I can only hope it does. And what of you?” Olivia asked, suddenly remembering that the golden rule, taught from the cradle, was never to dominate the conversation, especially with a gentleman. “I find it quite impossible to understand how life here can go on as normal.” Olivia indicated the other members of the drinks party, guffawing loudly at some joke. Olivia spent dinner responding to Lord Crawford’s dreadful jokes and behaving like the young lady she had been brought up to be. She risked the odd glance down the table at Harry, who she could see was doing his duty too, entertaining the wife of the army major. Later, as the men retired to the library and the women to the drawing room for coffee, Olivia feigned tiredness and excused herself. Adrienne appeared by her side just as she was mounting the stairs. “Ma chérie, are you ill?” she asked with concern. “I did, awfully, thank you.” Olivia could feel the heat rising in her cheeks and hoped Adrienne hadn’t noticed. Olivia climbed the stairs wearily. She genuinely had a headache, probably brought on by her still being unused to alcohol, but more important, she wanted time alone to think back and relish her conversation with Harry. She changed into her nightgown in double-quick time, an art she had perfected since arriving in the cold English climate. As she hopped into bed and snuggled under the covers, there was a knock on her door. “Thank you, Elsie.” Olivia picked up the warm cup and nursed it in her hands as she watched Elsie rekindle the fire. “Oh, yes, Elsie, I did.” She smiled. Olivia knew that another golden rule was not to gossip with servants, especially when not one’s own, but the temptation of discussing Harry was just too great. When Elsie had left the room, Olivia lay back on the soft pillows sipping the cocoa. Then she closed her eyes and began to relive her conversation with Harry from start to finish. This reading group guide for The Orchid House includes discussion questions that are intended to help your reading group find new and interesting angles and topics for your discussion. We hope that these ideas will enrich your conversation and increase your enjoyment of the book. 1. How does the myth of the black orchid at the beginning of the book contribute and add to your understanding of the novel’s meaning? 2. At the start of the book, Julia is suffering from a tragic loss. Do you think her grief is sympathetically portrayed? 3. The class structure during the Second World War plays a major part in the plot. How do you feel the war changed the relationships between master and servant? 4. How do you feel the exotic settings of Thailand, and Wharton Park in the English countryside, contribute to the novel’s atmosphere? 5. One of the main themes of the novel is duty versus love. Do you feel that Harry made the right decision? 6. The Orchid House has a dual narrative, set in past and present. Discuss and compare the lives of Olivia and Julia. Do you think the modern woman’s comparative freedom has made our lives happier? 7. Loyalty is another theme of The Orchid House. How did this impact the storyline? Is it always best to tell the truth, or to tell a lie to protect? 8. The Orchid House has a redemptive ending. Do you feel that this was realistic? Can the past ever be forgiven and forgotten? "Great escapist reading for lovers of historical fiction." "Lucinda Riley is one of the most compelling and gifted storytellers working today."